Is anyone fighting this?? This is just horrific. (C) “Padlock” means a locking device with a shackle portion that is at least five-thirty-seconds of an inch in diameter. (E) “Steel cable lock” means a braided steel cable that is at least three-eighths of an inch thick and either has a key or combination locking mechanism that is made of high-quality steel. Fired off emails to my Assemblymen. What is the definition of 'high-quality steel' these days? Something not made in China? That's not the weak spot. Quoting myself and cross posting. Bad etiquette for sure. Chu is a moron if he thinks his "definitions" would either stand up to actual thieves, or won't be challenged as vague. I see individuals walking around in nearby neighborhoods with full-on bolt cutters which get reported and the police don't do squat. If that level of malfeasance is present, this bill only seeks to entrap lawful gun owners. Last edited by Robotron2k84; 04-11-2019 at 7:54 AM..
1. Stop trying to get so far down in the weeds on this. Stop the over-analyzing the proposed law, and the why's and what-ifs. These annual incremental impositions have nothing to do with gun safety. 2. Too many of us wonder if these politicians understand what they are proposing, or if they worry if the law are proposing is even technically possible. We can't get inside their minds. But if the proven ignorance of previous anti-gun politicians is any indication, it's a safe bet they not only do they not understand their own bills, they don't care if the bill makes sense. 3. IMHO, these pols simply want to be able to draft a bill that they they think is a "sure thing" to be passed. They want to appear busy and productive. They want to be able to point to a bill and say "Hey, look at how I made our state safer." They want to appear like they're sticking it to guns. In a way, they're like that employee that almost every big company has: you know, the guy who never really does any work, but he walks around very fast, with a purpose, holding a big file in his hand, and is constantly name & project dropping. 4. What's the number one goal of almost every single pol? It's to get re-elected. And what's a super fast way to ensure that in the majority of CA districts? Publicly show how anti-gun you are. 5. The CA pols of today are slowly starting to become constrained by the overly-fast rate in which the Dems of 2000-2018 passed anti-gun bills. In other words, the Dems of that period passed so many bills, that today's Dems are now starting to run out of material. They've run out of all the low-hanging fruit, so now they're having to look hard to nit-pick even more. They're now adding on layer upon layer of new nitpicking laws. Laws that most people could not have even imagined would come up ten years ago. 6. These Dems don't really care if the laws help, or are enforced. For one thing, they--the pols--don't have to do the hard work of enforcement. They don't have to do the work of the courts and DA's and judges and juries. It costs them NOTHING to make these laws, and in their eyes, it helps them get re-elected. 7. Lastly, these pols have zero motivation NOT to make a sh***load of more laws. There's no penalty or downside for making more laws. 8. IMHO, these pols see making lots more anti-gun laws as a win-win for themselves. The entire spectacle is disgusting, and we have to figure out someday how to stop this garbage. NRA Lifetime Member. Hunter & Target Shooter. Supporter of conceal and open-carry. "It's called the Bill Of Rights. Not the Bill of Needs." It's called a work around. That's what free people do to oppressive governments. I agree that these folks think they are suggesting work-arounds. But these fast responses to these absurd new infringements are very obsequious. They make us appear servile. It's unseemly for true firearms patriots to be so transparently subservient and obedient. These pols are not our masters. They don't own us. "F**** you!" and "Hell NO!" Not, "Hmmmmm, I think I can figure out how to obey and still own guns. Yay for me! ....... Thank you sir, may I have another?" Does this mean that if I have a gun safe "permanently attached" via approved 3/8" cable, 5/32"+ combo lock, and box, to the "frame" of my vehicle, it now being deemed "safe" and compliant by the state, that I can leave my handgun in there 24/7? I mean if it complies with the law, it is therefore "safe" yes/no? Last edited by Jumbi; 04-11-2019 at 4:09 PM.. It isn't actually meant to make sense - it's meant to make Chu look like he's doing something about gun violence because we all know that gan bangers will be sure to follow this new law. Why doesn't Chu actually DO something productive. The way I see it, this will likely pass and be signed by the governor, and then we will all be required to comply, even those of us who own vehicles where compliance is impossible. In short, for a large number of people, it is a ban on transporting firearms anywhere inside a vehicle, locked container or no, compliance with federal law or not. Someone ought to tell all the hunters they will have to shoot there deer, ducks and geese with slingshots and arrows. Either that or don't stop anywhere for anything with your guns in your vehicle. There are plenty of voting non-native born Americans that support Second Amendment and there are plenty native born Americans that do not. One thing is sure, we do not need racists on our side, join democrats, they will love you. You're confusing racism with xenophobia. This has nothing to do with genetics. But I'll admit, it was a pretty negative statement that implied all Taiwanese have values we don't like. And so much for "I din't want to register my gun as an AW because of the transport restrictions". The AW transport laws are still worse. Any stop or detour from home to range is a potential violation. According to what the state has published on the AG's website, the state has not tracked statewide stole firearms since at least the 1990s. Therefore they can't claim it is a major problem if they can't even keep track how many thefts occur. Hell, we passed a proposition that turned stealing firearms into a misdemeanor for a while. For "regular" semi auto pistols, or revolvers, can handguns then be left in the car 24/7 permanently if in the soon to be deemed "safe" condition of being locked in a container out of site and secured to the "frame" with a 3/8" cable and 5/32" lock? Considering that we won't be able to transport any of our long guns in our cars, realistically speaking, if this goes through, I'd say the difference is slight. Besides, for me "the range" is BLM land, and I camp out there. So I've never been hindered by that limitation. This is stupid... just plain ol stupid. No, it just shows as I have personally always believed, that gun owners are consistently some of the most law abiding people in the country, yet we still get pushed around. Now what do you say ? Says to me, that you believe in the concept of "unilateral disarmament". You'd think that by now, gun owners would have noticed that they're being taken for chumps. Why would we believe that our chronic law-abiding-ness would we rewarded? When history shows that tyrants and aggressors only respect strength, why would we show them weakness and timidity? IMHO, so long as gun owners meekly say "Boo hoo, we're law-abiding people. We don't like this new law, but of course we'll comply 120% and then bend over in time for you to give us the next new law after this one", well, we'll just be seeing this happen over and over. Weakness is never rewarded. Quiet obedience is never rewarded. It's human nature to kick your opponents. And it's human nature to kick them even HARDER when they're down. This explains the relationship between Sacramento Dems and CA gun owners. Simple, when you cannot comply you don't. I will not be able to comply when traveling in my cabover camper or my motorhome on hunting trips so, I won't. They'll go where they've always gone. During hunting season I will not be locking my hunting rifle in a locked hard case going to and from my hunting spot in daylight. If I get "caught" I'll litigate it all the way to the Supreme Court if necessary. 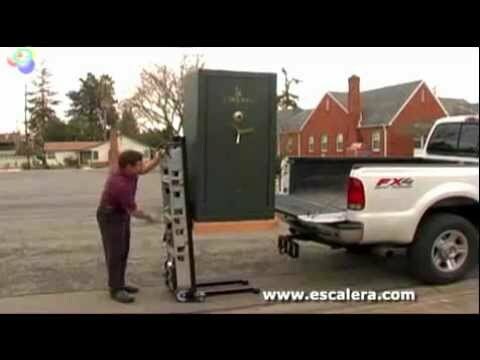 If they were really interested in public safety and saving lives, they would pass a law that everyone needs to transport their cell phones locked in a steel box, bolted to the "frame". This has nothing to do with public safety. If Chu really cared about public safety he’d do something about the people who commit crimes rather than criminalizing the victims. Instead, this is all about Chu’s hatred and intolerance of people who are not like him. If chu can identify as having common sense,and be a representative of the people, I can certainly identify, when wearing a belt and holster, as a car frame...yes? This should logically remove the vague "utility compartment" storage prohibition, but then again logic does not apply here and things will only get more obtuse. There is no prohibition on storing a firearm in a utility compartment or glove compartment. The law reads that the glove compartment and utility compartment can not be considered the locked container. Once you lock a handgun unloaded in a proper locked case you can then store it anywhere you want in the car. If you have a CCW then this doesn’t apply. I hear that's next. The Feds want no cell phone use whatsoever, even hands free or as a GPS. Out of sight completely and, if they have their way, locked away out of reach. California will be the first to pass such a law. Wait and see. We always have to set the stupid factor laws first. I say yes but a very dumb idea. Especially considering how many vehicles are stolen every year handgun or no handgun inside. Someone tried to carjack my wife while I was driving in another car near hers, the .357 I was legally carrying became "useful" in that unplanned situation. Very useful indeed. I'd bet if the would be carjackers had seen the business end of a barrel pointing at them from her hands-it would have been over sooner than it was without needing my intervention. Last edited by Jumbi; 04-14-2019 at 8:43 AM.. I wonder how this affects those of us who ride motorcycles. Right now, when I go to the range, I put the firearms in one saddlebag, and ammunition/magazines in the other. Neither is "locked" to the frame with the requisite hardware - it doesn't exist. I guess this is another case of CA making it illegal for a portion of their population (those who ride motorcycles) from even transporting their firearms. Effectively eliminating my 2A rights - again. At some point, even reasonable, moderate people like me will just decide it's a losing game and decide to stop complying. That is exactly their goal. Make legal gun ownership impossible. Are we allowed to use what the the authorities use? The magnet is my favorite part. The goal is to turn everyone into a criminal and they can choose who they want to prosecute. In LA there is no legal way to carry a fixed blade over 3”. So as soon as you leave a knife store with a 5” kitchen knife you are breaking the law. No legal way to drive with it ether. In LA you can be arrested for a crochet hook or sharp object in the car. The only thing FREE IN CA is the liberal passing out of FELLIONIES. A lot of people leave an emergency kit in the car. A Glock is cheap and a great emergency tool. If it was legal I’m sure a lot of people would leave a Glock locked up in the car. That was my point when I said, "If they were interested in..." Only in my post I was being more specific, and the crime I was referring to is texting/talking while driving. IF they cared, they'd do something like this. Safety is obviously the window dressing for this though. And I don't know much at all about the man, but I would guess this issue about political gain, as in finding some 'popular' (read "safe") personal/professional project to work on so he looks good to his constituents and peers in the state gov't.... To get noticed and advance his career. Last edited by Ki6vsm; 04-15-2019 at 7:38 PM..
Well i guess this will have to do. Tonight I spent about 10 minutes with Mr. Chu discussing AB 688. I first asked him what he was trying to accomplish with the bill. He said requiring long guns to be stored and locked the same as handguns. That was a surprising answer. The more questions I asked, the more I felt he did not write the bill, nor know exactly what was in it. I showed him two small handgun cases-one metal with a cable and one plastic. He showed genuine interest in them. We discussed the lack of a method of attaching a cable or chain. He said they could be routed through the handle, and I explained that most handles are plastic and could easily be broken with a screwdriver or hammer. He was surprised when I told him that those cases were legal for transporting a handgun on an airliner (checked luggage). We talked about the frame problem. He said that he would see if he could change the wording to remove reference to a frame and instead state that the cable or chain could be attached to any solid part of the interior of a vehicle. I showed him a cable that came with one of the cases and another 3/8" thick cable. He agreed that the 3/8" cable was unnecessary and that the smaller (1/8") cable would be sufficient. He mentioned that more stringent requirements would help prevent bad guys from stealing firearms. I countered that most responsible firearms owners don't leave their weapons in their vehicles. The subject of law-enforcement officers' weapons being stolen came up. I mentioned that SB 221 would strengthen requirements for LEOs, and that bill was much stronger than AB 688. I believe he will make some changes to the bill based on our discussion. I also believe that the bill will become law. Every one of you should send Mr. Chu a polite email or post on his Facebook page expressing the changes you would like to see before the bill passes, because it will pass. If you suggest reasonable changes, he is amenable.